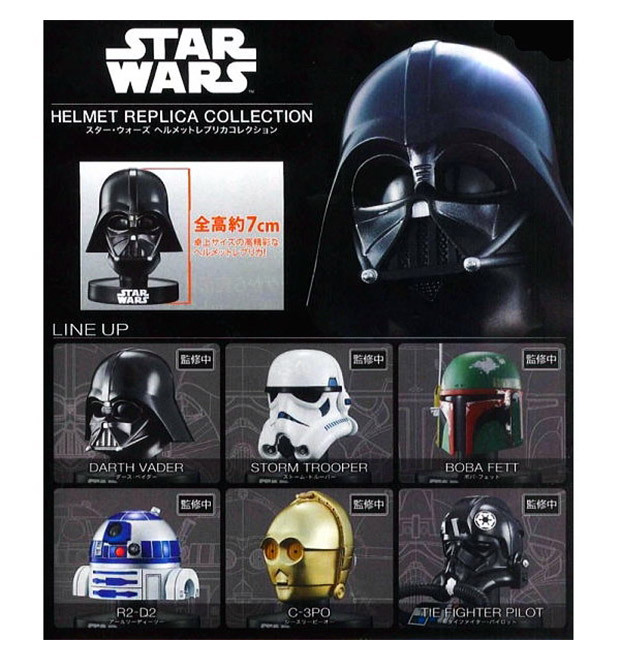 Fans looking for a quick way to add some great items to their Star Wars collections without breaking the bank, look no further than Bandai’s upcoming helmet replica collection. These small helmet replicas measure just about 2.75″ tall, including the stands. Choose from Darth Vader, Stormtrooper, Boba Fett, R2-D2, C-3PO or a TIE Fighter Pilot. Yes, I know that C-3PO and R2-D2 didn’t really wear helmets, but “decapitated head collection” didn’t sound quite as good. There’s also a secret seventh collectible in the blind box packages. 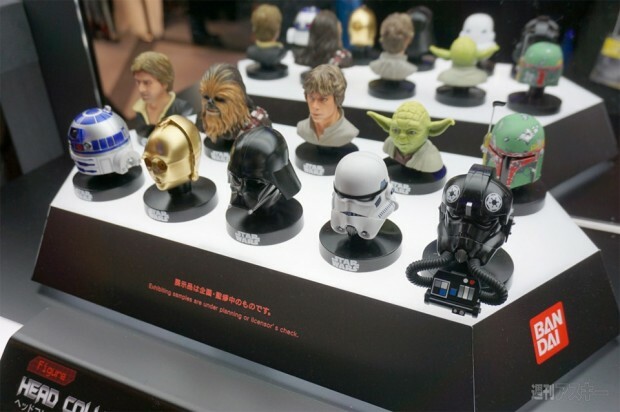 And from this image I spotted over on ASCII, it looks like there are additional heads on the way for Han Solo, Chewbacca, Luke Skywalker, and Yoda too. Expect the Bandai Star Wars helmet collection to be released in February 2015, selling for just ¥780 (~$7.50 USD) each. You can pre-order a randomly-selected box of six from HobbyLink Japan for about $39.